Starting with A. How much ink?? When I’m looking through all of the beautifully written Calligraphy pieces in books and online I immediately want to be as good as that, straight away! Unfortunately Calligraphy doesn’t work like that, I really wish it did. For the last few months I’ve been “practicing”…..the odd letter repeated here and there, words and styles copied from others I’ve seen in books. But this won’t get me very far, I want to be able to write on my cards and invitations only referring to the books not copying them….and so…….I have to put the work in! The first page went ok……. The golden art of how much ink to put on the nib……..I find that so hard….as you can see from round 1. But as I got into it I started to get the hang of dipping the nib in more frequently but not to the bottom of the jar 😂. I tried a few words and this was very informative! Have a look at the third “Aim” on the bottom line. 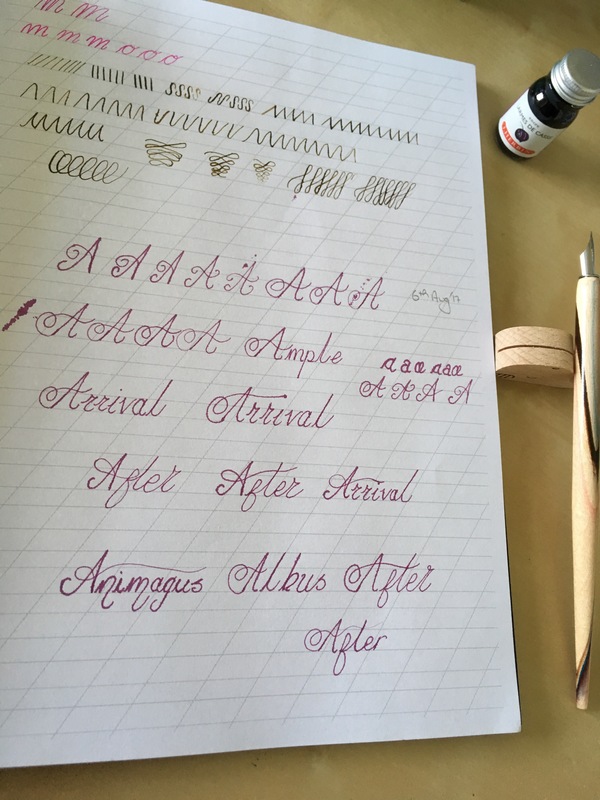 This style of capital A is lovely in the book, and not too bad to recreate, however, I found out a valuable lesson when doing the flourish. I tend to want to do the swirly flourishes quite quickly and they always seem to look more straight than round. Doing this type of A was exactly the same but I realised it was because it was going to fast. So on page 2 I tried to slow it down, pay as much attention to the swirls as I was the rest of the letter. Towards the end of the page I started to get the hang of it a bit. Still a loooong way to go, and more practice needed before I move onto ‘B’, but a good lesson learnt I think. 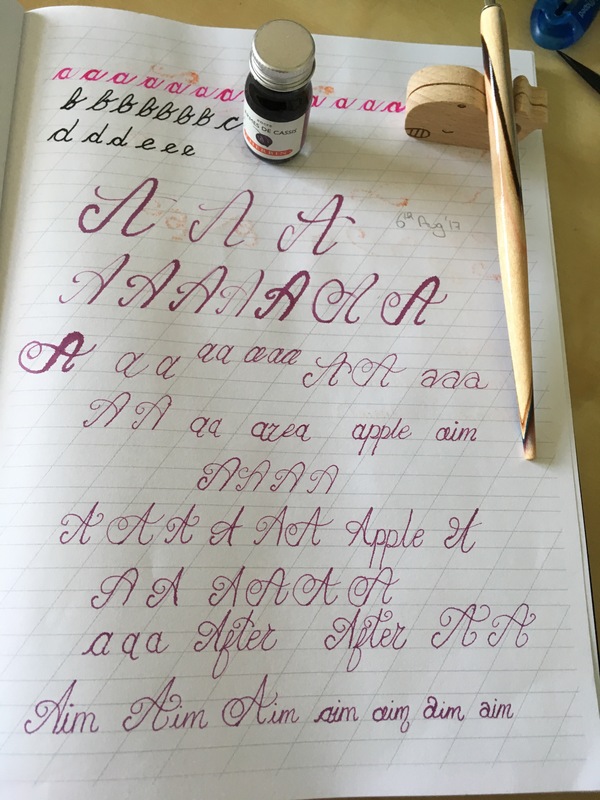 Next postCalligraphy practice-The capital B. This ones tough! 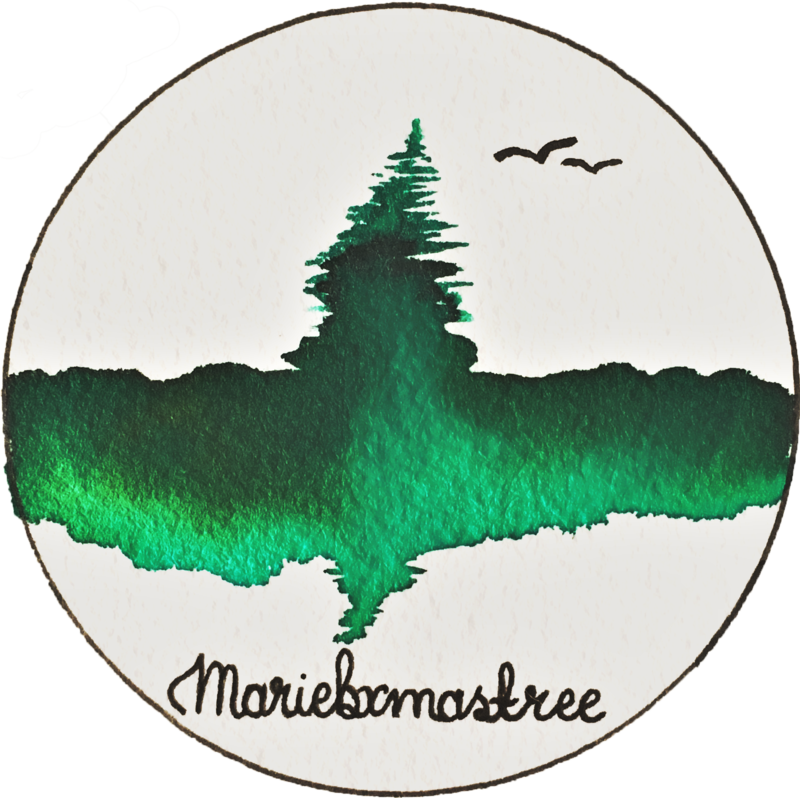 Enter your email address to follow my blog and receive an email when I post new content.